The church I’ve attended and been a member of, since I was old enough to join, has gone through major changes, over the years, including music in the church! 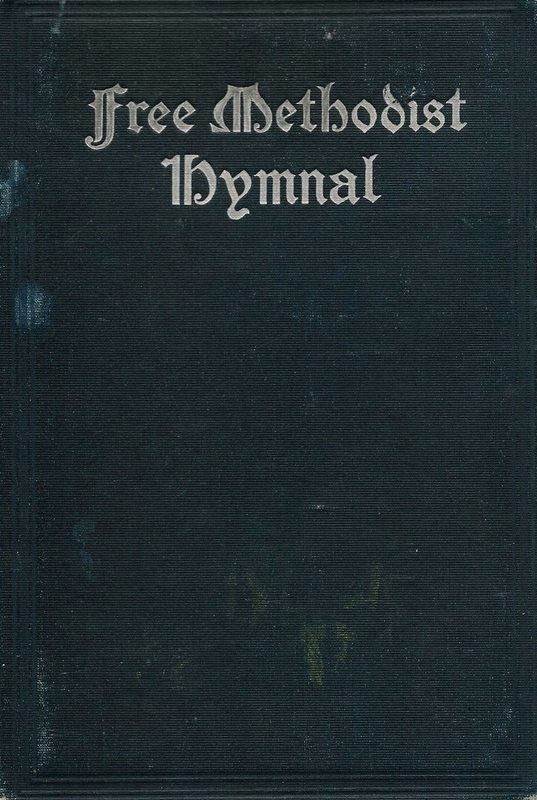 I have an old Free Methodist Hymnal, Copyright 1910. I love history and this hymnal is a prize possession of mine. I’m not writing this or putting these documentations in here to make fun of them. I’m very proud of my heritage. This was the hymnal still used by the church when I was a child in the 40’s. On Singing, is an insert glued onto the inside cover of the hymnal. Sorry, it’s a little blurry. The very last line reads General Conference of 1923. 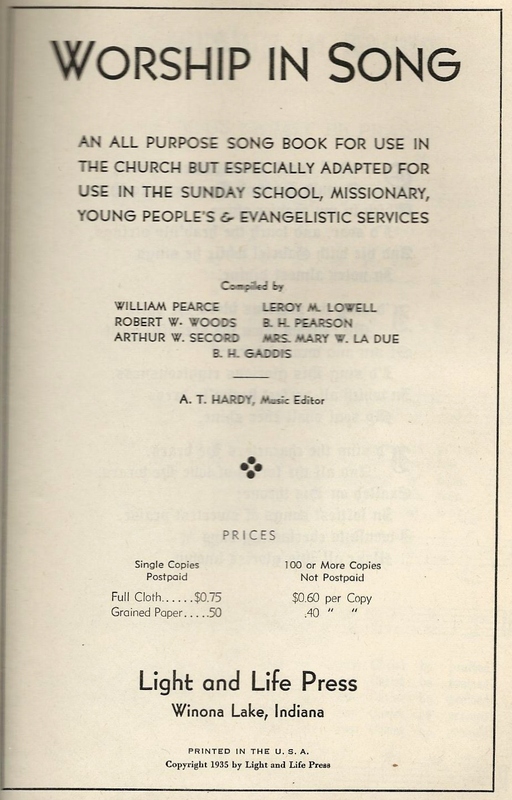 A small brown hymn book called Worship in Song was published in 1935. 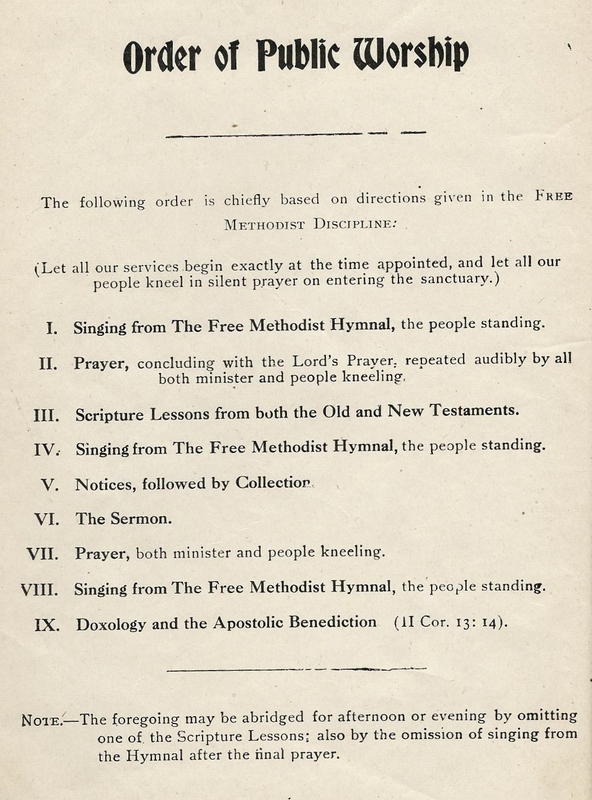 We loved singing from this little brown hymnal during Sunday School and the other less formal services. 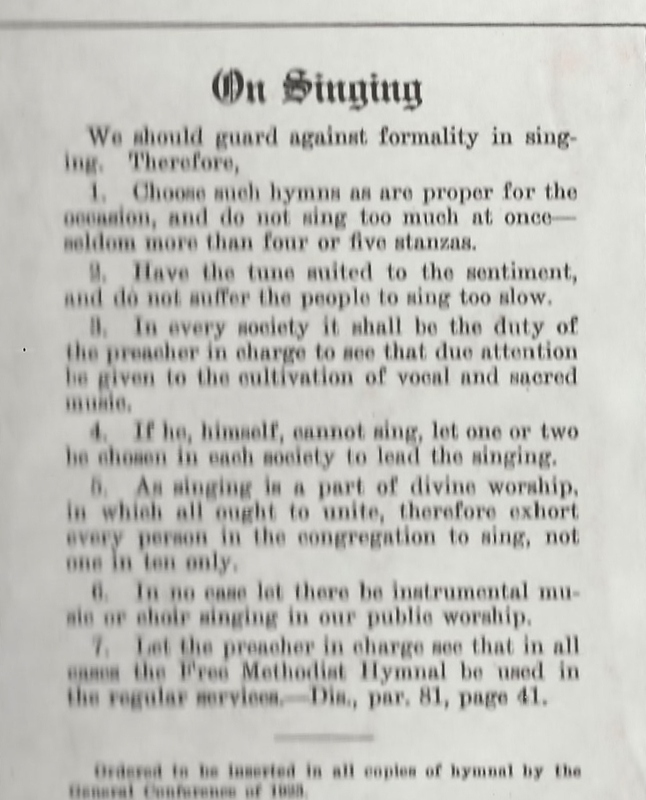 Before 1943 Free Methodist Churches were not allowed to have any musical instruments! But at the 1943 General Conference the ban was lifted! Des Moines, Iowa was one of the first to get a piano or organ, I’m not sure which. I know of a church in East Michigan that didn’t have an organ or piano until the middle 50’s! Having been brought up during that time, I want answers…I need answers. Inquiring minds want to know! So I asked and the answer I received was that the Methodist Church, from which we came, was so prideful. Musical instruments and choirs almost became a show. So, the founders of the Free Methodist Church decided to ban any musical instruments and choirs! Their aim was to glorify God. I admire the founders of our church. I admire the leaders in the 40’s for recognizing the need for change. I also admire the recent move toward worship and praise with the use of many different instruments. However, we, as Free Methodists, still need to guard against pride. In my church today, the organ is gone. We do have a beautiful Baby Grand Piano. We also have a string band, plus drums! We no longer have a choir, we have a worship team, composed of two or three women singing with mikes. Our music director plays either an electric keyboard or a guitar. Words to the songs are on overhead screens. We sing very few of the old beloved hymns that I grew up with, although sometimes they are worked into the worship time. Even though change comes gradually, it still is hard for folks of my age to adjust. I love the hymns we used to sing… I like some of the songs of today. A new favorite is I Can Only Imagine… although that’s not one we sing in church. I want it sung at my memorial service! This entry was posted in Adapting, Childhood, Church, Favorites, History, Me, Memories, MFMC, Music, Rules, Worship and tagged Adapting, Childhood, Church, Family, Favorites, free methodist church, Friends, History, hymn book, Hymns, Me, Memories, Music, religion, Worship. Bookmark the permalink. If you want some great hymns go to youtube and search amazing worship. Thanks Larry! It’s nice to hear from you!